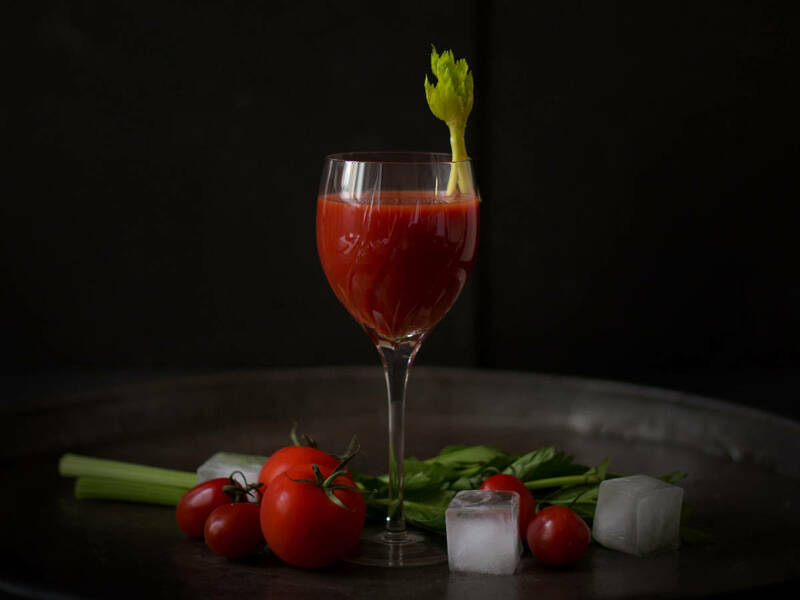 In a measuring cup, mix together tomato juice, Worcester sauce, Tabasco, and lemon juice. Pour into a glass. Garnish with celery and freshly ground black pepper. Enjoy with brunch!